MAB Corporation has now launched its latest $130 million project, Escala. 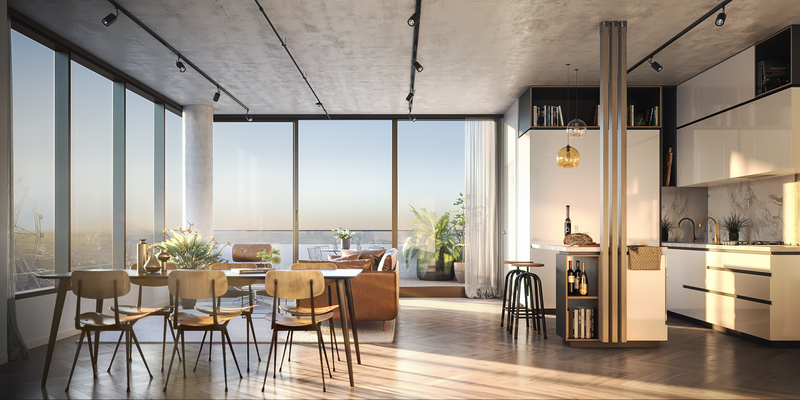 Located in NewQuay, Docklands, this mixed-use development presents lofts and apartments for flexible living, as well as triple-level homes with a downstairs work studio, custom-designed for the new generation of workers. Escala is comprised of four buildings with a mix of residential, retail, hospitality, and commercial offerings. Esteemed Six Degrees Architects, who are behind Escala’s impressive design, take inspiration from Melbourne’s iconic urban design culture, using creativity to strategically build a sustainable urban development. 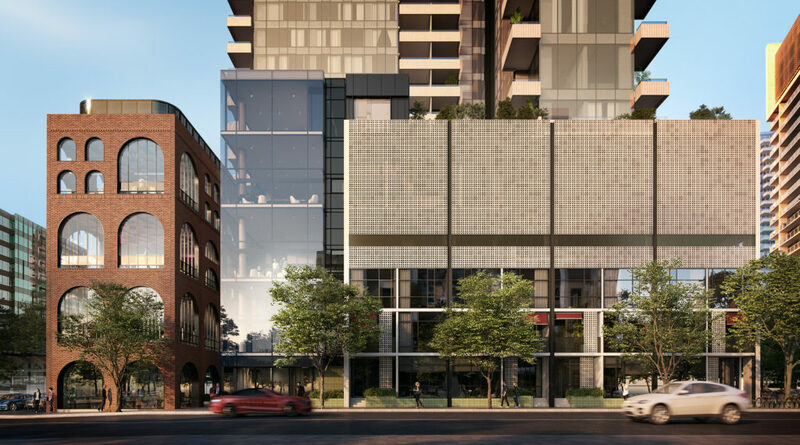 The red brick façade and arched windows reflect the charm of Collingwood warehouses, a striking gold art piece will weave through the centre of the buildings, and the lobby’s stained-glass windows will cast soft hues over lush outdoor greenery. 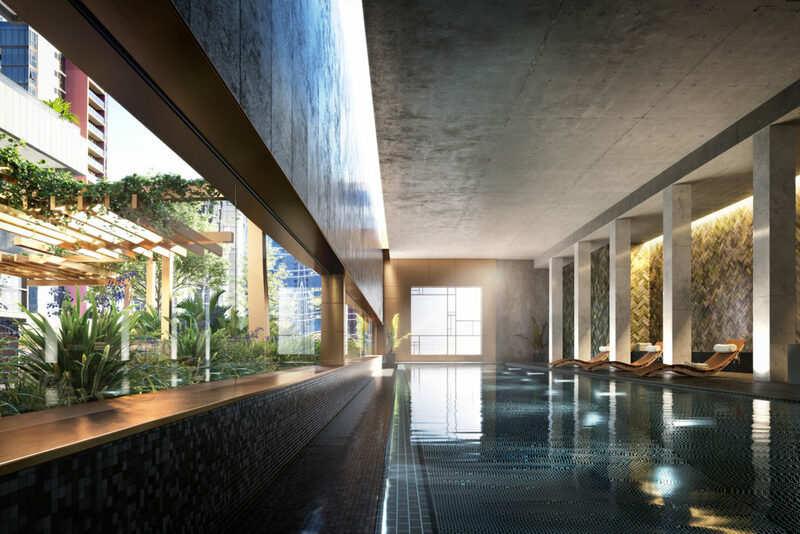 One bedroom apartments are available from $432,000 to $590,000 and range from 51-66 square metres. Two bedroom apartments ranging between 64 and 97 square metres cost between $603,000 and $895,000. The three bedroom apartments with two bathrooms, as large as 104 square metres, cost between $1,090,000 and $1,180,000. 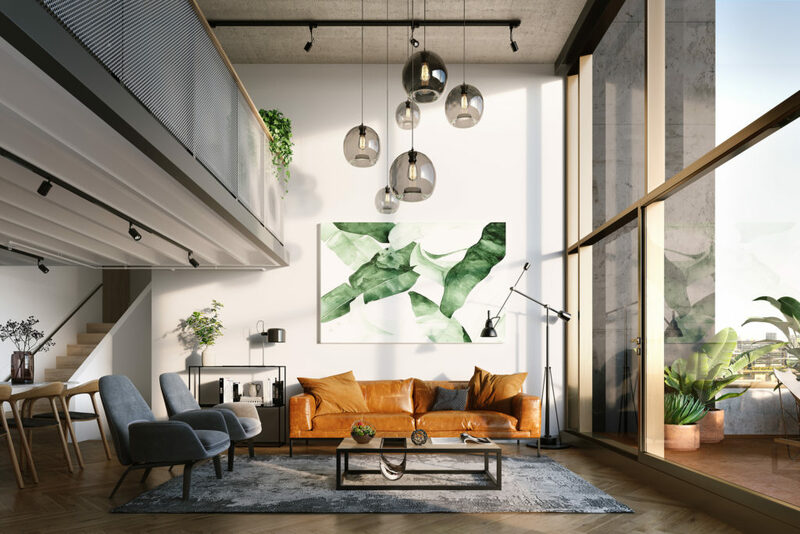 The lofts are available in one bedroom and two bedroom layouts, ranging in price from $550,000 to $960,000, the most expensive lofts being 111 square metres. Arguably the most innovative lifestyle offering at Escala is the triple-level SoHo option, with direct street frontage and the flexibility of a downstairs work studio. The one bedroom SoHos are 121 square metres and are available from $1,060,000, while the two bedroom SoHos range between 88 and 132 square metres, costing between $780,000 and $1,210,000. Six Degrees Architects’ expertise in creating sustainable, design-led environments comprising of workspace, boutique apartments, and hip restaurants and bars will bring to life the vision for this prominent site. “In Melbourne’s CBD, you don’t see cafes, shops, apartments and offices divided – it’s all a big melting pot. With this mixed-use development, with residential, commercial and retail floor space interwoven in four buildings, we wanted to create a vibrant community with opportunities for people to come together,” explained Six Degrees Director, Mark Healy. To find out more about Escala, enquire now. Originally published in Apartment Developments on 18/03/2018. Prices correct as of 17/04/18.